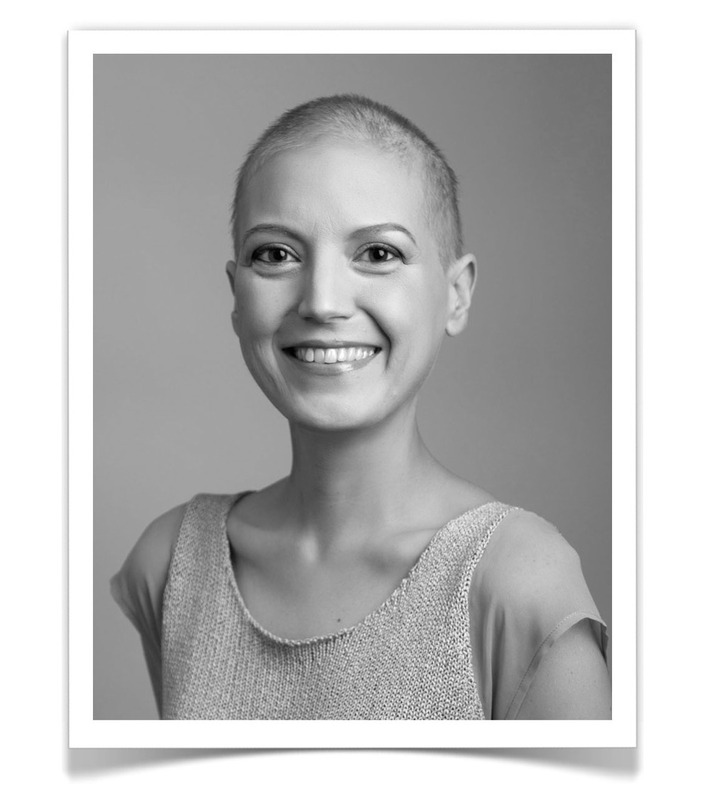 This section of the website has been designed for you, the family and friends of a patient, to obtain valuable insight from cancer survivors. We hope to provide you with the tools and information you need to feel more confident in your communication and support with your loved one. Enjoy! When I first heard my mom had been diagnosed with Stage 3 Inflammatory Breast Cancer, I really thought it was the end of the world. My mom is the rock of my family. She keeps us all in check and is our family’s “Superwoman.” However, eventually I realized that my mom having cancer doesn’t change her. Cancer doesn’t change a person unless they let it, and with their family’s help, nothing has to change. While I didn’t know how to help my mom in any physical way, for example because of our schedules I could not go to all her appointments or support her in that way, I knew that my job was to make her life, in the emotional sense, easier. It was my job to be a more positive person, to be more understanding towards her needs, and to, with my dad’s help, create a funny, happy and loving environment at home. I think the most important part about helping a loved one with cancer is giving off an energy that will help them thrive, even through challenging and uncomfortable times. If everyone dwells on the fact that a loved one has cancer, no one would get anything done! Instead of dwelling on it, I made simple changes in my attitude and the way I lived my life. I tried to limit my complaining, because imagine what my mom has to complain about. I also tried to generally be a more helpful member of the family, whether it be around the house or by running errands. In a weird way, cancer really has made my whole family better. It has made me less selfish and more aware of those around me and the needs of those around me. It has made both of my parents grow closer, and has also made my mom and I grow closer. With a good attitude, going through a hard time can strengthen a family in amazing ways. Cancer is just one of those things that life throws at you. It does affect the whole family and sometimes can be inconvenient, annoying, or overwhelming, but overall it is something that can be overcome. I think that many people get caught up in the word cancer and scare themselves into thinking it means that everything will change or that their loved one will become a whole different person. It is important that we don’t let cancer define us, our family, or our community, but instead we define what cancer will do to our lives. We have the power to be positive individuals and to help our loved ones’ lives a little easier. We can define the way it affects us, but also in a way define how it affects our family. While our moms, dads, siblings, or friends may be fighting hard to overcome the illness, it is up to us to overcome the negative aura attached to cancer. Positivity, happiness, and support can be the key to helping them through the experience and defining the way that they see cancer. If your family member is diagnosed with any form of cancer, it is easy to feel hopeless. It is easy to think that it is impossible to help them, or to feel uncomfortable or awkward about helping them. This is not true. The most important way to help is to be positive, to be supportive, and to make their lives easier in every other sense. Although you really have no control over how the medical processes go, the rest of their experience can be made so much easier just by putting yourself in their shoes and treating them the way you think would help them overcome the situation. Cancer is a painful, uncomfortable, and confusing thing, but I think that it puts everything else into perspective. Or it did for me, at least. It made me realize how I should be living my life, and all I can contribute to make the lives of those around me easier. You just discovered you or someone you know has cancer. What do you do? The news certainly isn’t welcome. In fact, it’s the one phone call you hope you never receive. Even if you suspect a high likelihood of being diagnosed with cancer exists, the experience washes over you in a very surreal way. My diagnosis came on May 5, 2010. I had recently accepted the leadership position of a social group and had just arrived to my meeting with the former group leader when my doctor called. I remember opening the liftgate of my SUV and sitting there in tears as my doctor told me I had breast cancer. Dr. Mike Grant, who became my breast cancer surgeon, is an angel on earth in my book. He was direct yet gracious and encouraging without being disingenuous. Dr. Grant told me to discuss my diagnosis with my friends and family, do a little research and call his office in the morning so we could discuss the next steps. I don’t remember what I did next, but I do recall the former group leader was upset with my tardiness. At first I didn’t know whether I would say something to her about my diagnosis because I wasn’t sure how it would impact my decision to lead the social group and its 400 members. The position entailed many responsibilities, and I didn’t know if I could handle it. As soon as I told the former leader my news, she forgave my tardiness. Throughout our meeting, we discussed my diagnosis. I cried and was obviously distracted. Several times she offered for us to reconvene later, but I opted not to do so, and we finished our business. For me, it was important to let my friends and family know what not only did I not feel sick, but I didn’t want them to feel sorry for me or speak to me in a pitiful manner. The truth is, you are never as alive as you are when you are facing your own death. Cancer is a scary word. I don’t even like writing it. Cancer makes people face their mortality, and we tend to fool ourselves on that one again and again. We all like to pretend that somehow we will cheat death. The reality is all of us have an expiration date, but most of us don’t know what it is. Cancer makes you face that possibility, and it forces the people around you to do the same. Your diagnosis makes other people think about their own health before they think about yours. Everyone knows cancer isn’t contagious, and yet it almost feels like it is sometimes by people’s reactions. Fortunately for me, that didn’t happen. Everyone I know treated me the same. At first there was some hesitancy, but once people saw how I responded, it was business as usual. That was an awesome gift. I’m so grateful for those who love me and that they let me share in the mundane matters of life. People would feel bad when they complained about something then realized they weren’t dealing with cancer. I always responded that their divorce, job or other situation was their cancer. It was my way of saying that problems in life are relative. We all have them. Some of our problems have more immediate consequences, which could even result in our death. But living isn’t about dying. Living is about facing the challenges that come our way. Sometimes it’s a struggle. Just when we think we have one thing licked, we discover another bigger monster waiting under the bed. Nobody knows how they will react to the news of a cancer diagnosis, and no two people’s situations are the same. It wouldn’t be realistic to expect every cancer patient to respond as I did. The last thing I want to do is offend someone who is terminal or has a loved one who is, or offend someone who is not as open as I am and was with my friends and family. If you have cancer, my prayers are upon you, and I hope you experience a full recovery, great medical care, love and support of friends and family, financial stability and insurance. You may not be open or an analytical like me, but I encourage you to fully understand your diagnosis. Read up on your specific kind of cancer and explore your options. The thing that is easy about cancer is the plan, and you will have one even if you don’t know what it is yet. Your job will be to fully commit to that plan, get good rest, eat well, exercise when and if you can, and let your support system refresh you. Take care of yourself and follow your plan. Also remember others will react according to how you react. As in all areas of our lives, you will teach people how to treat you. If the person you love has cancer, be sensitive to their needs, but don’t make assumptions about what they are. I’m a big believer in being open and just asking. I look forward to getting to know you and invite you to correspond with me online. I look forward to hearing your stories.